Heat oven to 350 degrees F. Coat large roasting pan with nonstick cooking spray. 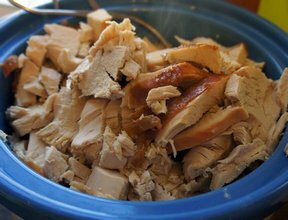 Rinse turkey breast under cold water; pat dry. In a small bowl, blend all spice ingredients. Rub on all sides with lemon juice and oil. Rub 2 1/2 Tablespoons of spice mixture on turkey, including under the skin. Save remaining spice rub for next time. 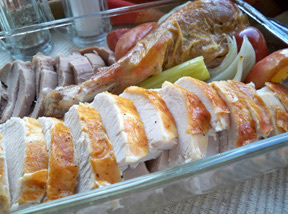 Roast directly in pan for about 2 hours or until internal temperature registers 170° F on an instant-read thermometer. Let stand for 10-15 minutes in a warm place.